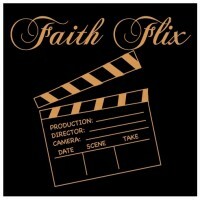 First, I will say hands down that this is the best performed Christian based/sponsored film that I have seen to date. Generally with Christian based films you might have a good story, but the cast is lacking. Second, this film is also one of the best “based on a true story” films that I have seen in a long time. I didn’t feel like there was a great deal of Hollywood added to these events, though I’m sure personal accounts may remember a parts differently than they are portrayed on film. Finally, it’s a film that deals with one of the ugliest times in our country where leaders in certain states were too blind by their own ignorance and hatred and many good people suffered and died for it. The film dealt with it, showed it, but didn’t dwell on it. We have a first time performer in the young man that played Tony Nathans: Caleb Castille. Caleb comes from a heritage of football, was a player in high school and at Alabama, and sought this part out when he heard about this film being created. In my opinion, he did an amazing job. There may have been one or two scenes that you could see a young actor coming through, but overall, I was truly sold on his performance. He portrayed Tony Nathans as articles described the real young man: a humble, shy, and determined individual. 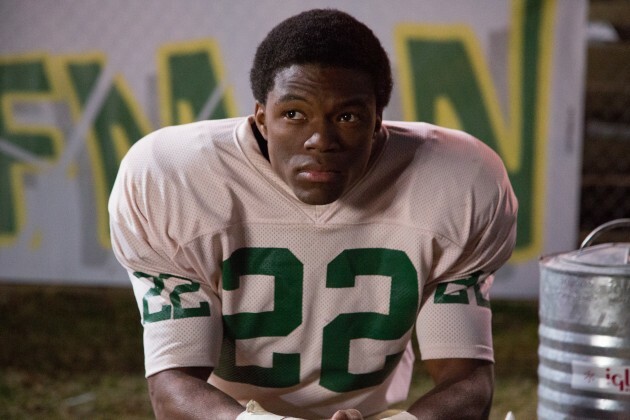 What I appreciated about his performance was that you saw his inner turmoil when dealing with tough decisions that he had to make throughout the movie: do I want to be hit, do I stand up, do I play, do I risk my family, do I get my picture with HIM, do I stop him from hurting Johnnie, Alburn or Alabama. Each time you could see and feel the struggle. A good actor not only talks you through their thought process, but they let you feel their emotions… Cartille is able to bring that forward in this movie. Another actor in the film, but one that has been around for a few years, John Voight, begins the movie and rejoins closer to the end. He plays the Alabama coach, Bear Bryant. He shares a great deal of wisdom throughout his scenes without much emotion. This isn’t the usual way to see Voight play a character; especially a football coach (Varsity Blues). However, do a little research on Bryant, and you find out this was the true demeanor that he possessed when he was away from the heat of the moment. He spoke his mind. He went after what he wanted. He knew his players. He knew leaders. He knew how to make them great. He pushed. 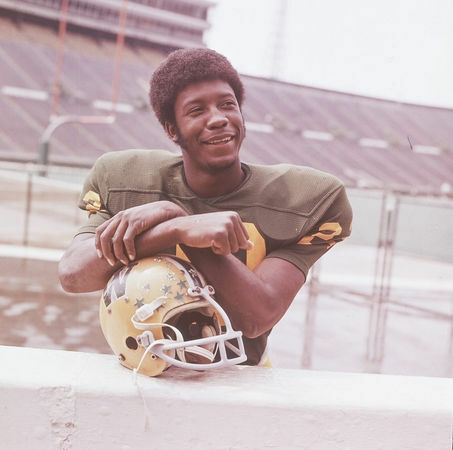 Bryant was accused on occasion of being a racist when he had limited or no black players, but he always let the reporters know it was not his choice. The schools would not let him have black players at the time. 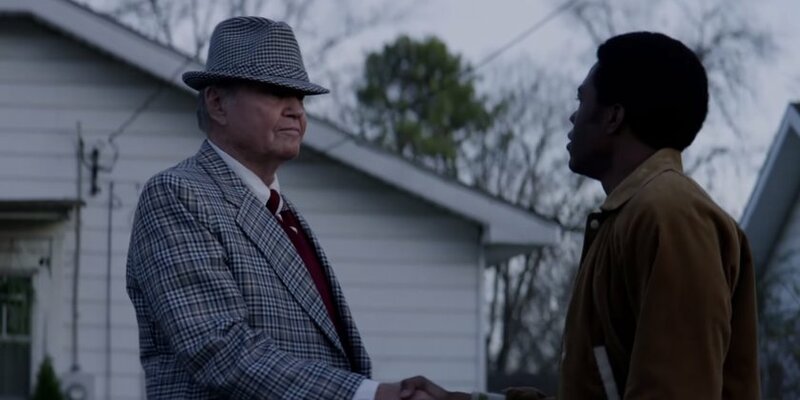 Therefore, seeing Voight portray a few scenes where Bryant crossed that invisible barrier and he shook a black players hand, and he talks about having his first black player at Alabama and not having enough, and he simply states, “It’s time.”, are powerful moments for me. 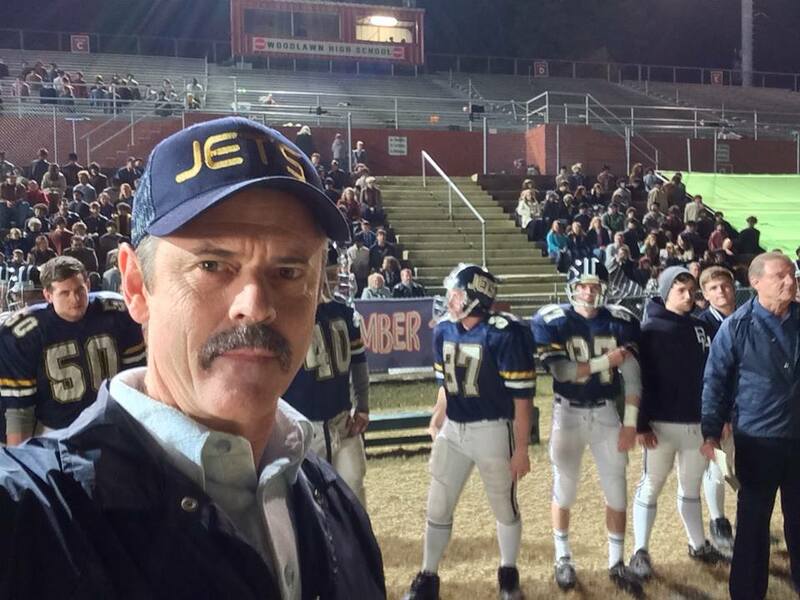 C. Thomas Howell appears as Shorty White, the Banks football coach. Banks is the school rival to Woodlawn, the thron in the side, and Howell plays the loud, obnoxious, win-at-any cost coach; at first. A pretty new face is Nic Bishop. 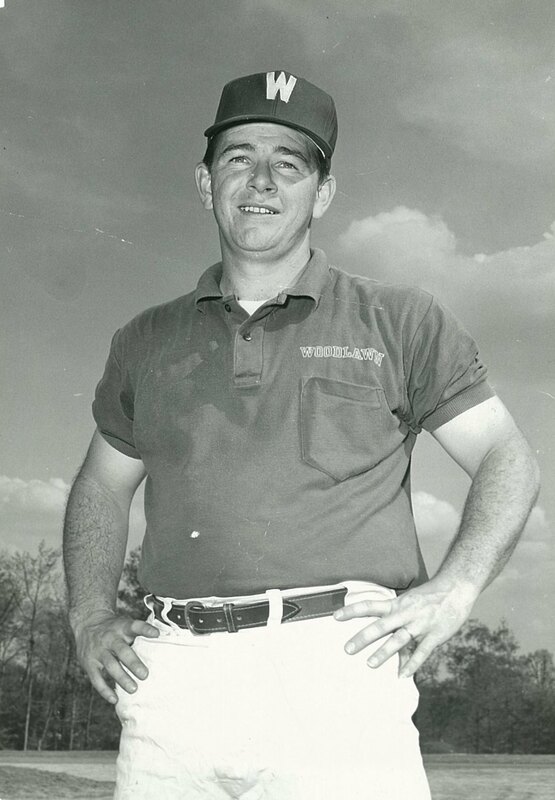 He played Tandy Gerelds, the head coach for Woodlawn. He hasn’t been in many American made pieces, as he hails from England. (He does a great job concealing his accent.) However, though I liked his character, his was the one that I struggled the most with the performance. There were times I just wasn’t sure if he was all in to his character. It wasn’t a situation where the person just ruined the film for me (that has happened before), but many times he left me wanting more. 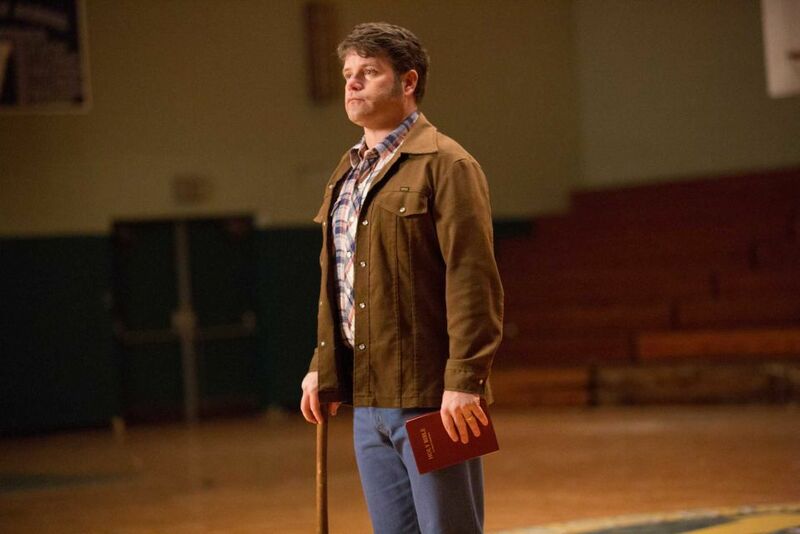 The man that stole the show for me was Sean Astin. I have watched many of Sean’s recent projects as he has stretched himself professionally into faith based and/or family based works. Some have had bigger budgets and some not as much. Each one, he has put his all into his role. I saw Sean in an airport during the summer of 2014 having breakfast. I wanted to have a conversation with him, but I didn’t want to interrupt his meal as he looked like he was preparing for a meeting. I therefore wrote him a quick note. I thanked him for the work he was doing in these types of films. My eldest 2 are off in college, but I still have 2 at home and we love watching movies. The work that Sean is doing is work that I can not only put in without fear of what I’m going to be showing my children, but they have lead to some amazing conversation, too. 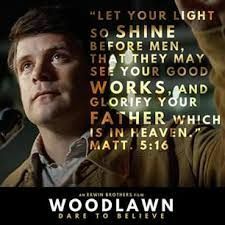 I watched Woodlawn and the compassion and purpose that Sean brings to the film in his character of Hank is so amazingly powerful. His character chooses teams to work with. He goes to them and he talks to them about Jesus. Now, keep in mind, this is a TRUE STORY. 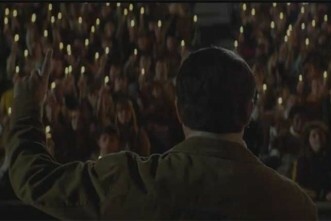 His character was at a Billy Graham meeting in Texas where they lit candles in the dark and it lit a fire inside of him. 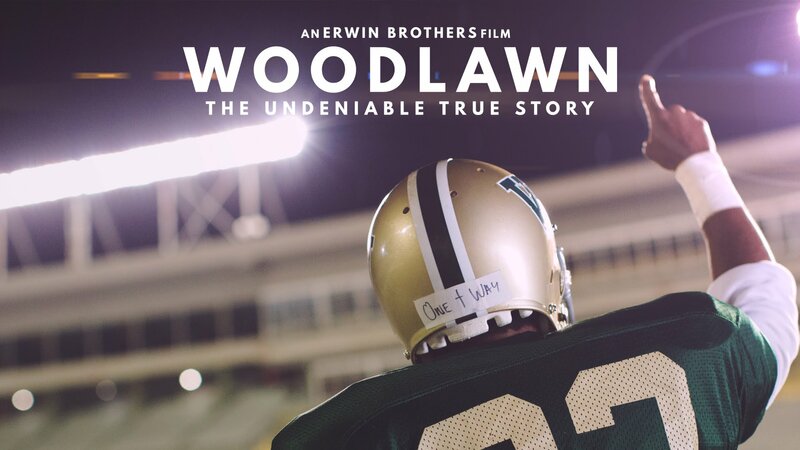 The first time he some to the Woodlawn team was to be 5 minutes; it was over an hour. When he was finished and he asked the team who was willing to stand with him, almost the entire team left the bleachers and changed their life. They became one as a team from that moment forward and began to grow. 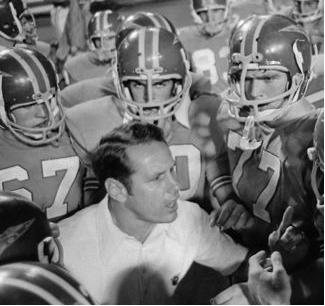 They didn’t always win, but they grew as men, as a team, and began to give God the glory. When Sean speaks you hear and see his passion for the words he shares. When the team was willing to give God the glory, Sean brings in his Bible and speaks about David and Goliath (a passage I often reference in sermons) and he declares that that day the people would know that there is a God; the words that David declared to Goliath before he defeated him. But what got me about Sean was his heart. He doesn’t come across as a man playing a preacher. He doesn’t come across as a man quoting scripture. He comes a cross as a man with a fire inside of him for God and for Jesus that he wants to share and a faith that is unending. His recent work has been good, please don’t get me wrong. However, I’m not sure that I have ever seen him play a role with more compassion, love, and sincerity as he does in this film as Hank. You can see that when he speaks, he’s not just saying lines; he believes and that he lives by. I’m a sensitive guy, but I’m not an emotional one. I’m not ashamed though to tell you that there are times that he had me close to tears through this movie. This is a true story. It’s about an amazing coach that was reluctant at first, but willing to let a Jesus freak work with his team. About a team full of hate and rage for others because of differences, that began to see Jesus in one another. It is about a town and area full of rage and separation that was able to mend broken hearts and minds and become a community under one name that lead to a record attendance holding (still to this day) high school football game. About two amazing athletes that opposed one another, became friends, and then went on to greater things. It is about how there is “One Way”, no matter what, to get through all the garbage of this world, the times that Satan attacks, and the times when you just don’t feel like you can go on. It’s about understanding, that even in a world that wants to persecute us for our beliefs in Jesus The Christ, we are NOT alone. I went in to the movie knowing nothing about it, not really sure that I wanted to pay theater prices to see it, and I walked away thinking it was a fantastic film and feeling my spirit lifted and inspired. It’s not perfect. I grant you that. But I’m giving it a 4. 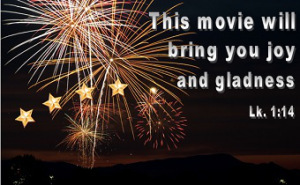 Sadly, there are some reviewers out there trying to tear the film down. They are against prayer. They are against the Bible. They are against God. Their posts have said these things and declared this film to be a waste of time and money. If you are a person without faith, without God, and without hope of eternal life; then this would seem like a waste. But in the late 60’s and early 70’s in a time of true hate and separation, one truth, and only one truth was able to mend ignorance and hate… God’s Word. When we see where our country is heading today, I can only hope that a Jesus movement will once again ignite. I strongly recommend that everyone go and see this film, even if you are not. Football fan.